From 'Heatherslade' where Vernon Watkins lived in the 1930, we walk along Pennard cliffs passed the house where the poet settled after the war. There is the option of a more strenuous route across the golf links passed the castle, while others can continue up the valley past the golf club. At Pennard school, we see the recent memorial stone, before walking through the village passed 'The Pennard Hoard' discover. 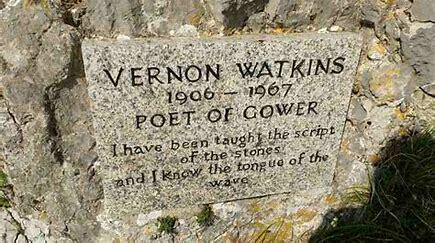 Readings during the walk from poems by Vernon Watkins.